Can you imagine a world where you can build cities simply by moving your hand? Or destroy, if that’s your style. A world where you can fly, or have super strength, or have anything you want simply by thinking of it? If you cannot imagine it, don’t worry. You will live it soon! As fictitious this world may sound to you it doesn’t change the fact that science has already invented, developed, and even produced some of the fundamental components that will be the foundations of this future we spoke above, where you will be a God. 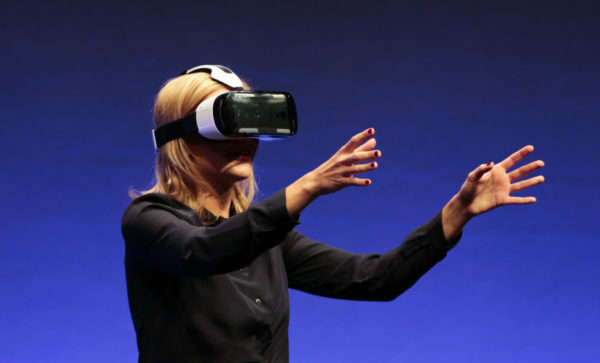 You probably already know that Virtual Reality devices began selling on the market. 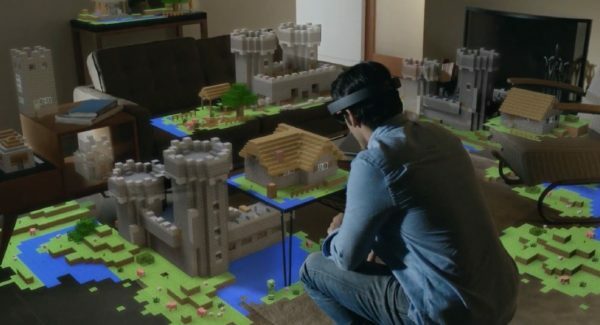 The Oculus Rift, Samsung VR Gear and even Microsoft’s Hololens are just the beginning of VR technology that enables us to enter a new realm of virtuality. However, as awesome as these gadgets are they use only our visual sense. We still have 4 of our senses locked up into reality. We cannot touch virtuality like we can touch reality, don’t we? Well.. not anymore. There is a new invention that will revolutionize VR experience forever. It’s called Gloveone Smart Gloves. Basically what these gloves do is connect to the VR world you see and enable you to touch it. It’s connected to your hands and stimulates your touch sense whenever you touch an object inside the VR world you observe. Soon this technology will progress and a Smart Suit will be developed that stimulates not just your hands, but your whole body. 2 Senses down 3 to go.. wait a minute, I am so stupid, I forgot about headphones.. 3 senses down 2 to go. I am sure science will come to a solution when it comes to smell and taste. Let’s leave that aside for now. What will we do if the virtuality we enter demands for us to walk from one place to another? We sure cannot roam with glasses, headphones and a suit on out in the world we live in, especially in traffic. That’s not a very smart thing to do. Have you heard about Omnidirectional Treadmills? They are like regular treadmills except they move in all directions. They are especially created to solve this problem and enable us to walk inside the virtuality. The worlds you embark on don’t need to be predetermined by a game. There can be a game where you are the one that creates the world following certain fundamental laws of physics. Let’s take Minecraft as an example. The worlds can be ones we co-create together or a world that you create by yourself in a “single player” in which later, you can invite guests. And the main ingredient we need for ALL OF THIS to work is already functioning globally for more than 20 years, The Internet. People will spend more time inside virtuality than in reality. It’s already happening. Look around. People are dived in with their heads inside their smartphones scrolling on Facebook. And in virtuality Facebook can be a frame, like painting, hanged on the wall of your virtual house. However, one important issue arises here and that’s the problem with internet connection. You don’t want to live in a world where you lag from time to time. Well, lagging is a problem that will fade away as soon as we change WiFi with LiFi. 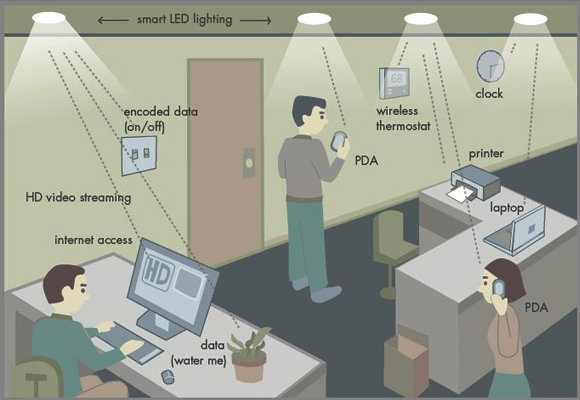 Do you know what LiFi is? 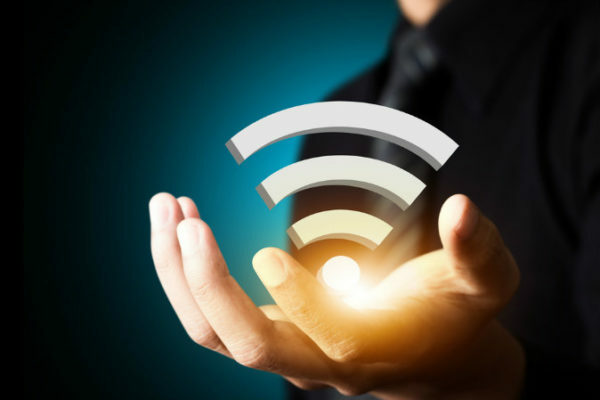 LIFI is 100 times faster than the fastest WIFI connection, or 224 gigabits per second. In other words, you can download whatever you want faster than 1 second. The download as we know it will be altered. It will be like choosing an option in your menu. This way, the virtuality can transfer enormous data so the virtual worlds we create can look better and smoother and more real. LiFi uses the visible light portion of the electromagnetic spectrum to transmit information at very high speeds in contrast to established forms of wireless communication such as Wi-Fi which use traditional radio frequency (RF) signals to transmit data. To simplify, wherever there is light there is connection. Scientists plan to create a model where the whole world will be connected to the internet even in places where there is no civilization. Not just that, but a group of scientists work with large technological developers to start a new age of technology. They call this The Internet of Things. Not just VR devices and smartphones, but EVERYTHING will be connected on the internet. Yes, even your kitchen table. Maybe you’ll be able to order food from there. Everything will be customizable to suit your own individual needs. You apartment, your car, your fridge – if connected to your bank account and allowed by you, will order groceries depending on what you lack following a smart algorithm. Based on your facial expression your apartment can alter its lighting, music, atmosphere just to make you feel better. 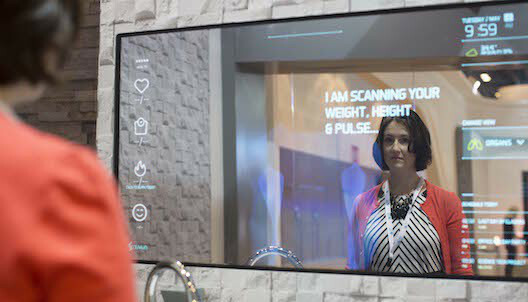 Not just this, but there is actually a smart mirror already invented that analyzes your facial expression to check your health. There is a toilet designed that can analyze your pee to check infections and what you lack in your daily diet. Smartphones can be modified to take blood samples, analyze them and give you a health report. You can have your own personal doctor inside your pocket. And all of these gadgets will be interconnected on the internet, of course, with your permission. All of this information will be available to you in your universal account keeping every single detail about your individuality. Machines will take over regular jobs and they will obey our programming and desires. They will be powered by Solar Energy gathered through global solar mines. We may even be able to communicate telepathically via the net. In this first of its kind study, an international team of researchers communicated 2 words across a 500 mile distance using the internet, from one brain sender to 3 individual receivers of the data. The data were the words “Ciao” and “Hola”, which were described appearing in the receivers head as if they were wispy flashes of information under their eyelids. The exciting part about this to me is that they were able to do it with external scanners. They didn’t need to drill holes in the skulls. That’s a pretty big deal. 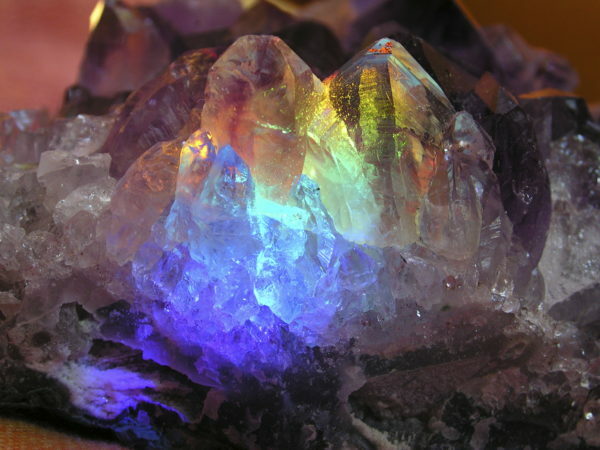 The technology is rather large at this point in time, but I could imagine that in the future this technology could be compacted down to the size of…say, a small crystal. 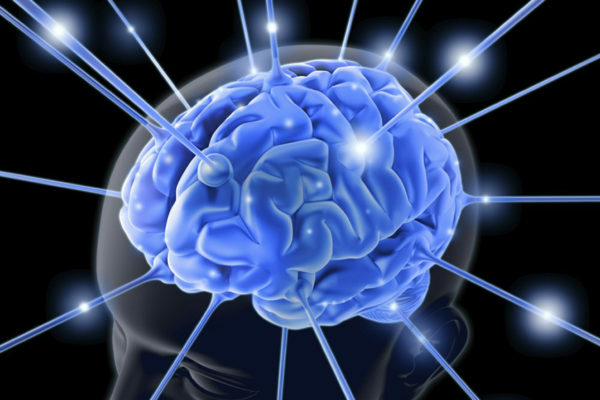 One day we may all simply have access to all information at all time through a mental internet – which truly is just a mental connection to all of our brains all at once. The collective consciousness of mankind. We will be inter and intra connected having access to the global information we allow to be seen. We will create worlds inside virtuality, worlds where we can hang and share more intimate things than we could have ever imagined, where we can express how a certain color sounds and EXACTLY how we feel by creating a scene with characters, and a story. We will create our own matrix where we will all be Gods of 1s and 0s. You can have whatever you want there. There will be no wars out there, no destruction, no humans conflicting the ways of mother Nature. The world will be free from our EGOs. But is that the right direction for us?